This week Christine is hosting the WCS blog and her theme is jumpstarts or startingpoints really. Each day she has different things that can jumpstart your creativity. I made a few layouts for her week and today I´ll show you one from yesterday´s post where the startingpoint was design. I used a sketch for this layout which essentially was the design element of my page. The sketch was the WCS April sketch. 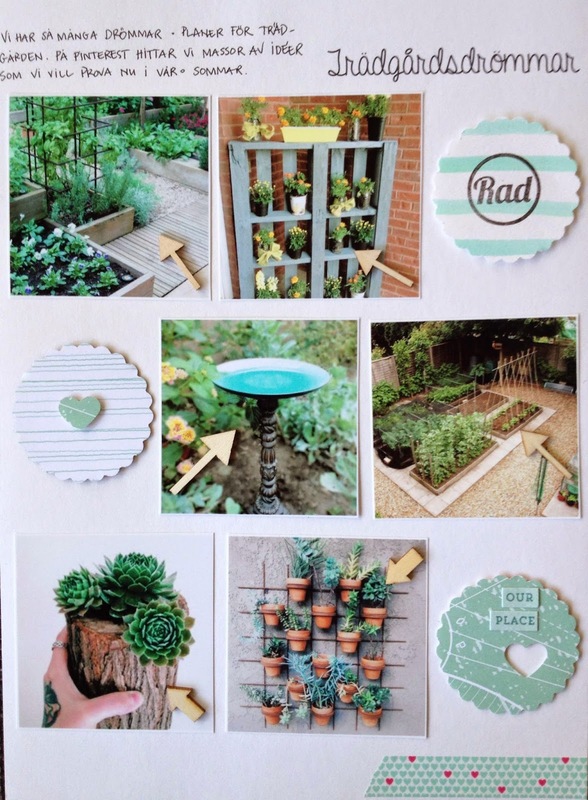 The photos are from my Garden board on Pinterest. 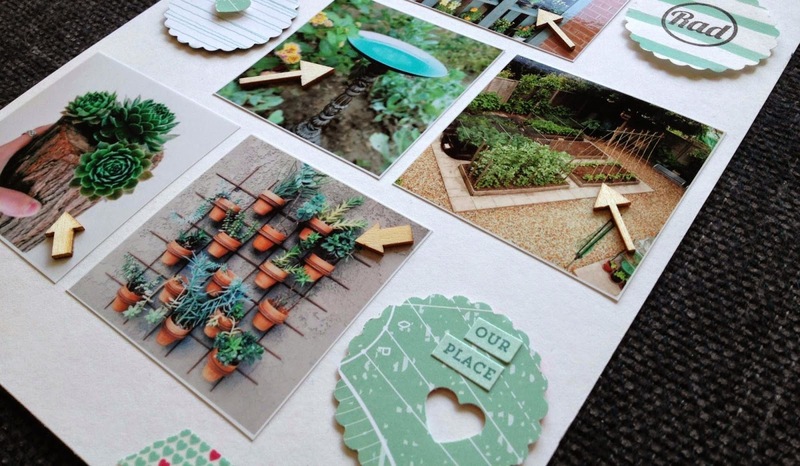 The layout is about all the dreams that we have for our garden and the inspiration we get from Pinterest. It was so much fun! It is so funny to me that I just started using sketches a year or so ago. Before that I found it difficult to use them. Now I use them as inspiration all the time! Go check out Christine´s posts, I am sure you will find inspiration to many projects!